The attorneys at Wellens & Jablon, LLC offer 35 years of combined experience in handling litigation matters. We are skilled in advocacy and dispute resolution. 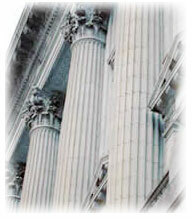 Knowledgeable attorneys will work with clients to devise a litigation strategy that makes sense for the client. We will help the client analyze the potential benefits, costs and risks of pursuing a particular course of action and will work with the client to develop a litigation strategy that makes sense in view of the client’s objectives and risks. Our practice is not confined to court proceedings. We also represent clients before a broad array of state and administrative bodies. In addition, we can assist with the favorable resolution of disputes through mediation. In mediation, a neutral party intermediates between two contending parties with the purpose of persuading them to adjust or settle their dispute. This can be a cost-effective and efficient manner to resolve a legal dispute.